Tufin® is the leader in Network Security Policy Orchestration for enterprise cybersecurity. The company serves more than 2,000 enterprise customers in finance, telecom, energy, healthcare, pharmaceuticals, retail, education, government, manufacturing, and transportation. More than half of the top 50 companies in the Forbes Global 2000 turn to Tufin to simplify management of some of the largest, most complex networks in the world, consisting of thousands of firewall and network devices and emerging hybrid cloud infrastructures. Tufin works with hundreds of channel partners worldwide. Tufin was not new to PRM software, they had been using another solution previously. Based on that experience, they knew they needed an interactive software that could provide a solid, bi-directional integration with Salesforce CRM without custom coding, a modern and flexible User Interface (UI), and most importantly, a configurable deal registration process. With a growing number of partners, they wanted their integrated PRM community to provide secure file sharing, to adapt to their unique business needs, and be able to easily create and support internal processes. 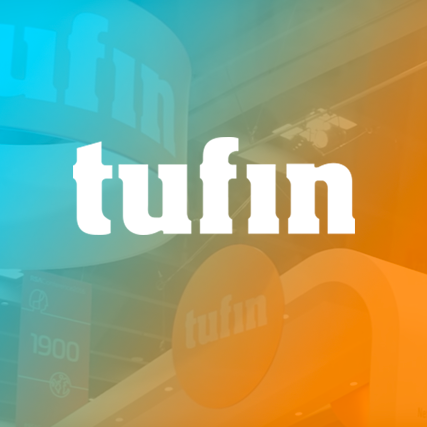 Baruch Thee, Director of Worldwide Channel Strategy and Programs, says “Tufin needed one consistent way to communicate with our global partner network and one place for the data to reside so we could manage channel performance”. When Ohad Gablinger, Tufin’s Director of Information Technology, found Magentrix on the Salesforce AppExchange he knew he had found their solution. The bi-directional integration with Salesforce gave them reliable access to the data they needed to manage their partners with accurate insights and they were thrilled to find that they could utilize the same platform to engage with their customers as well - something they hadn’t see anywhere else. Customers and partners could create and track service tickets while accessing relevant content and knowledge base resources all on one secure platform. Tufin worked closely with Magentrix Partner, CloudCom Application Ltd., to build out an initial design that addressed their needs. The implementation included some customizations, time for quality assurance and user testing, and was fully launched within 6 weeks. According to Gablinger, not all PRM integrations with Salesforce CRM are created equal. After facing many challenges with other solutions they found Magentrix PRM to be flexible and easy to use with a very stable connector. The solution’s flexibility has allowed Tufin to enable their business processes instead of changing them to suit the technology. The ability to use multiple portals on one platform has really helped streamline service with partners and customers. The Magentrix PRM Community is giving Tufin better visibility into its business. From Channel Managers, who can now see what actions partners are taking to pursue leads and deals through to management, who get more accurate data for forecasting. Additionally, Channel Managers are now able to get partners more involved in deals and are seeing more engagement from them as well. The feedback from partners has been very positive. When comparing the Magentrix PRM Community to other vendor portals they use, they find navigation is easy and the connectivity to information and resources on demand is a huge benefit. 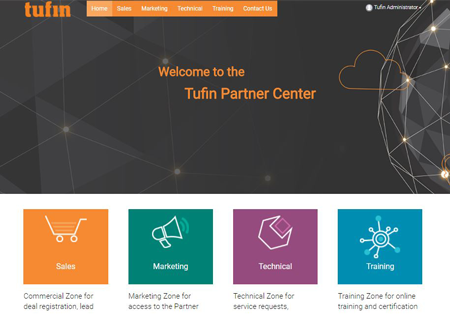 Tufin is now planning to add additional processes to the PRM Community such as a pricing calculator for their team and a partner onboarding process with integrated e-signature to make it easier and faster to get partners up and running.